Enter to win this Free Patriot Xporter XT Rage 32GB USB Flash Drive (aka USB Stick or Thumb Drive). Patriot memory, a well known company, has been making computer storage components since 1985. 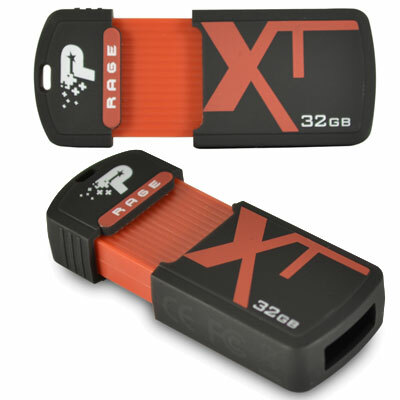 Up for grabs is a 32GB USB 2.0 Xporter XT Rage Flash Drive, sporting up to 27MBs Read speed, and up to 25MBs Write speed. One lucky winner will be electronically drawn for this Free Patriot Xporter once the drawing progress bar reaches 100%. Looks like a really stylish drive, if it also has good performance then a winner! !